And, most importantly, the results you want. The best relaxer for you, will give you the results you desire. Which I hope is a healthy scalp and tresses. It does this by being gentle on your scalp and strands. 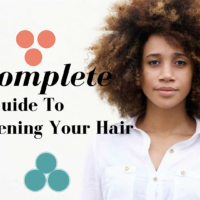 In order to pick the best relaxer, you need to know the type of hair you have on your head. If you have thick, wiry strands you have coarse hair, thin, smooth strands are deemed as a fine texture while anything between the two is a medium texture. It is important to pick the correct strength formula for your hair type. 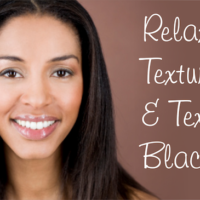 Relaxers come in three strengths: mild, regular, and super. If you have fine hair, then you should use the mild formula; if you have coarse hair, then you will want to use the super formula. Be careful in thinking that just because you have thick hair, you need a super strength relaxer. Your thick hair may be a mass of fine strands. 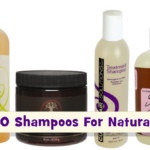 Traditionally relaxers come in either the No Lye or Lye formulas. Lye relaxers will usually give you straighter hair, but also have the capacity to do more damage. Lye, or Sodium hydroxide, is a chemical used in industrial applications. If not used with adequate protection, Lye can cause chemical burns on the scalp. 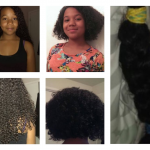 But, when used correctly, it can leave the hair straight, moisturized and soft. 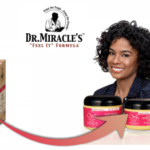 No lye relaxers are typically milder than lye formulas, as they have a lower pH balance. If you have sensitive skin, then a no-lye formula is for you. “No base” formulas claim to be less damaging to the scalp, but a petroleum base is always advised as an extra precaution. 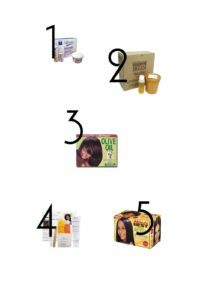 The following relaxers are the highest rated relaxers on the market and are available in both Lye and No lye formulas. They are Affirm, Mizani, ORS, Phyto, and African Pride (respectively). If you’ve been following my blog, you know I have switched between the top three with my last three relaxers. Bad, I know. but I think I may have found a keeper with Mizani Butter Blends. They say the most important step in picking a relaxer, is the strand test (which, I have honestly never done). I just don’t see the point in relaxing a piece of my hair to see how I’ll like it and then having to go back and do the whole head. SO, basically, if I do not like the results, I would have already purchased this relaxer, which I can’t return…I feel it’s just a waste of time. I have been relaxing my hair for over 20 years now, so…I choose to believe my experience leaves me exempt (pure ignorance, I know!). ???????? There’s a “right” chemical for hair? I have very thick curly african hair . what is the i best affirm relaxer for me . I am thinking of going back to straightening after 5 yrs relaxer free. I might try the Mizani Butter Blends but I dunno. I swear I have something beyond 4C type hair lol. Step 1#. DON’T!! THROW IT AWAY! I’m NOT judging others. I’m simply stating: There’s NOTHING wrong with OUR NATURAL GOD GIVEN AFRICAN HAIR. 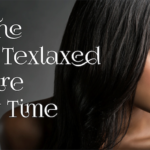 A relaxer is YOUR choice, but know YOUR/OUR hair is still GLORY WITHOUT IT! If it doesn’t apply to you then I wasn’t referring to you. As you can see from my profile pic you are preaching to the choir about the glory of our hair. But dont pretend that these comment sections arent ripe with those who have a holier-than-thou approach to Natural Hair/Life. 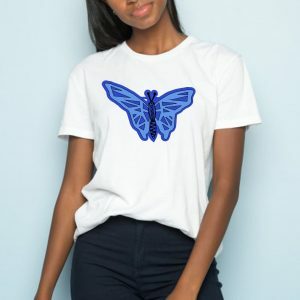 Its disheartening and frankly a turnoff to what being natural is supposed to be about, and what the beauty of our chameleon like diversity is about. If thats not you then there’s no problem. Thank You, have a nice day. ???? It’s funny. When I first went natural I tried to convert everyone. It was the best thing since finding Jesus. Now-girl bye. I don’t have time. If people ask then they ask. If not ok cool. Lol ???????? Don’t do it is not worth it…. What? There are guides now? When I was team crack I just tried stuff until it worked. Same with my natural hair lol. To each its own. I love my hair. 5 years of no relaxes then in may I put 1 on and since then my hair has turned from a tree to a branch… shedding until there’s hardly anything left… So thin so sad… Hair so thick and Lush all gone. relaxers work great 4 some just not me. I don’t judge. Who is still relaxing their queen crown???? Burning, link to fibroids, damage, dryness, breakage, chemicals, dependency??? Just saying, know better, do better! Only in love and knowledge to my Sistas!! No judge! Hair crack, hell to the no. 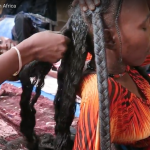 People bashing relaxers… Wat about weaves??? S**t… If you so accepting of your nappy hair then stop puting weaves in your head…. I had shot haircut like http://newaylook.com/best-short-hairstyles-black-women/ and I had my hair relaxed a few years ago at a salon. When I first had it done, I really liked it, but after a while I really missed my curls. It seemed to take forever for my curls to grow back and I had to keep having the straw-like ends chopped off. I cried with relief when my stylist did that final cut to remove all trace of straight damaged hair. I’m glad I did it though because it made me appreciate my natural curls even more. My thoughts exactly, if you are happy and proud with your natural hair go to a natural hair site, not one that is for relaxed hair. Too each their own, but please don’t attempt to tell me what to do to my hair. 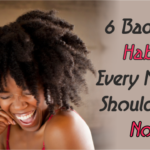 How about getting advice for going natural but wanting to relax the curl? I don’t want super straight but I would like to relax my natural hair so it’s easier to manage without a ton of oils to keep it from being brittle from the growing out process. I don’t need feedback like the “naturals” have just found Jesus and bible thumping to the rest of us..I’m looking for advice for my specific needs. I’ve relaxed my hair for years but always twisted or braided right after the process and then bumped the ends. No heat, curling irons etc… and it grew like crazy!! So going back to natural with a light relaxer or texturizer is where I’m heading. Thanks in advance! ???????? 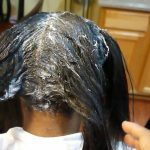 i have very thin hair and sensitive scalp, which relaxer can i use it?